It’s been so cold in the upper Midwest this week that even a few minutes outside invites frostbite. But there is least one upside to the polar vortex deep freeze: The extreme cold is likely wiping out millions of invasive tree-killing insects across a broad swath of territory from South Dakota to Minnesota, offering hope for at least a temporary reprieve from their incessant spread into a steadily warming north. Although these insects are hardy enough to survive an involuntary trip across the world and thrive in unfamiliar territory, extreme cold is often their Achilles’ heel. The hemlock woolly adelgid cannot withstand temperatures below –4 degrees Fahrenheit, a 2008 USFS study found. 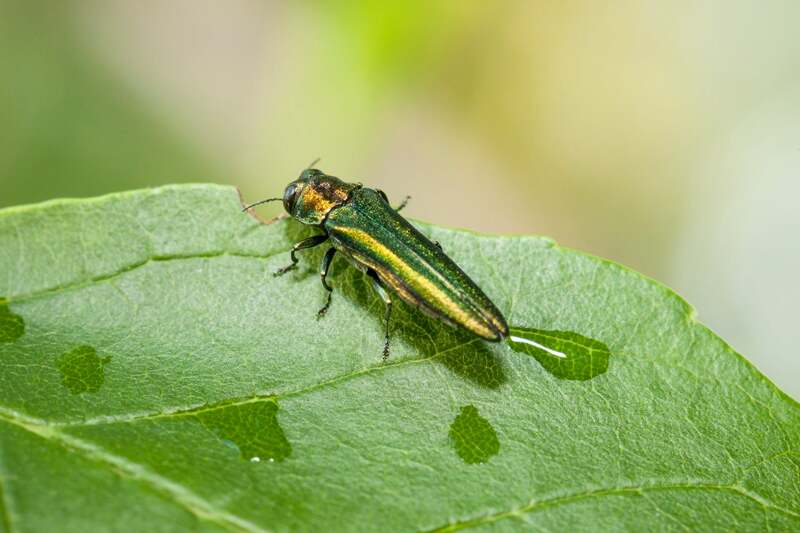 Other invasive insects evolved in cold environments in their home countries and are equipped with impressive wintertime defenses—40 percent of the emerald ash borer’s body comprises an antifreeze-like substance, for example. And its larvae can tuck themselves under bark, where it can be as much as 5 degrees F warmer than the air. But even these cold-weather superstars are no match for the kind of temperatures now seizing much of the northern U.S. Researchers will not know exactly how much damage this cold snap has inflicted on invasive insect populations until they get out and examine them in the spring. But a survey conducted after the 2014 polar vortex hints at what they might uncover. That winter temperatures dropped to –23 degrees F in Minneapolis and Saint Paul. When Venette peeked below the bark of ash trees in the Twin Cities, in most places he found 60 to 70 percent of emerald ash borer larvae had perished. Because this year’s polar vortex has brought even colder temperatures, the die-off is likely to be considerably larger: up to 80 percent could be killed in some areas, say experts including Andrea Diss-Torrance, the invasive forest pests coordinator at the Wisconsin Department of Natural Resources. Venette has subjected ash borers to various temperatures in the lab and found the colder it gets, the bigger the die-off. Only 34 percent of ash borers succumbed at –10 degrees F—but at –30, the figure soared to 98 percent. That is above the low much of Minnesota hit Tuesday night (in some areas it was even colder), and parts of Wisconsin endured on Wednesday; meteorologists reported it was the coldest the region had been in at least 20 years. It is also an opportunity for researchers to learn more about how these species respond to extreme cold events amid an overall warming trend. Because the ash borer is a relatively new arrival, scientists are still working out its vulnerabilities to cold and other threats in its adopted home. One thing they do know is that even if the polar vortex leaves a massive die-off in its wake, the insects will rebound. The survivors of the current cold snap will pass on their superpowers to their offspring, meaning future populations may be less vulnerable when the next polar vortex sweeps the Midwest. How much of a comeback a population can make, however, depends in part on how big it is. Because ash borers are more established in Wisconsin they will probably recover more quickly than their counterparts will in neighboring Minnesota—simply because there are more of them, Diss-Torrance notes. “Even if you kill off 95 percent, it’s not enough to exterminate the species in Wisconsin,” she says.